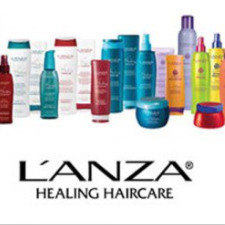 A leader in professional hair care products, L&apos;ANZA was the first company to offer shampoos, conditioners, styling products and treatments designed to heal the hair. L&apos;ANZA combines all natural ingredients including botanical extracts, vitamins, amino acids and moisturizers. L&apos;ANZA products have received praise in Allure, Harper&apos;s Bazaar, Redbook and Modern Salon.